PMP certification is the most prestigious project management certification around the world given by PMI. Based on a salary survey by Indeed, PMP certified professionals command up to 20% higher salary compared to their uncertified peers. Besides, PMP certification is a critical merit looked by employers for project management positions. We have explored the PMP certification NYC in this post. We have gone through how you can do PMP prep in NYC, the best PMP training NYC options, and other aspects of PMP exam NYC. Before you dive into details of PMP certification New York options, you might think “why is PMP certification so important?”. I assume that you are already aware of several PMP benefits and that is why you are looking for PMP training NYC options. However, it is better to highlight the critical importance of PMP certification if you will be working in US and in project management field. PMP certification is crucial if you want to get a project management job in US. Almost all employers seeking professionals for project management vacancies highlight PMP certification as a “must” merit in candidate qualifications. Besides, former US president Obama signed the Program Management Improvement and Accountability Act (PMIAA act) which requires professionals to have a relevant project management certification to get a project management job in federal government. This shows that PMP will be more and more important in upcoming years and it is a must to get PMP if you want to have a bright PM career in US. If you are not aware of PMP requirements yet, you can check more about PMP certification requirements. Before we dive into details of PMP certification NYC, it is better to go through how you should do your PMP exam preparation. Because, choosing PMP training NYC is one of the steps of your PMP preparation plan. Note that, this PMP exam preparation plan is regardless of your location. No matter in wherever location of the world you are, you must prepare a solid PMP study plan to pass the PMP exam in your first attempt. After you have prepared your PMP study plan, in order to earn 35 contact hours project management education, you must attend in a PMP training. We have listed top 10 available PMP training NYC options in this post and our reviews for each New York PMP training provider. #1 PMP Training NYC – Master of Project Academy, Inc.
We will include our platform as the first PMP training NYC provider. However, in order to provide an unbiased review of all PMP training providers in New York, we will not provide any review for our platform. Master of Project Academy is the #1 affordable and flexible New York PMP training provider with 99.6% first attempt pass rate. Note that, 99.6% is the first attempt pass rate of Master of Project Academy students. Master of Project does not count second or third attempt passes in “pass rate” ratio unlike other PMP training providers. Besides, this is a weekly updated, audited and backed up pass rate ratio in footer of Master of Project Academy homepage. Master of Project Academy offers weekdays and weekend Virtual PMP training sessions. Duration of the PMP course is 4 days and 35 contact hours. Weekday sessions start on every Monday and end on Thursday. Weekend sessions start biweekly on Saturdays and ends in two weekends (Saturday & Sunday). You can learn more about PMP Class Online options from the link below. PMP success stories of Master of Project Academy proves the quality of this PMP certification NYC training option. Don Wheeler is one of the several PMP success stories of Master of Project Academy. Don passed the PMP exam successfully with the PMP training from Master of Project Academy and he scored “Above Target” on all five domains of the PMP exam. This is the highest score where a PMP candidate can get from the PMP exam. You can read Don’s PMP success story. Webucator is another New York PMP training provider your can consider. Note that, this PMP training NYC provider offers several other courses other than project management training. So, their specialization is not project management. They offer technical courses like MS Project, database courses, programming courses, business skills courses and several other courses as well. This New York PMP training provider does not offer self-paced PMP training option. Therefore, it might be difficult to find a PMP classroom training which will fit your schedule with this New York PMP training provider. #3 PMP Training NYC – International Institute for Learning, Inc.
International Institute for Learning, IIL, is another New York PMP training provider. IIL offers several courses including but not limited to Six Sigma, project management, leadership, agile, change management and more. IIL offers three types of PMP certification training. These are on-demand, live virtual classroom or traditional classroom training. Course prices start from $1,450 which is far above over the other PMP certification NYC training options. #4 PMP Training NYC – Total Systems Education, Ltd.
Total Systems Education, TSE is focused on project management, business analysis, healthcare project management, agile, green PM, testing and end-user related training and consulting. This PMP certification NYC training provider option is good if you are planning to attend a workshop or practical implications of project management. However, if you are willing to pass PMP certification exam, this might not be a good fit for you. Because, the project management courses do not focus on the content of PMBOK and they do not cover the PMP exam content. Orion Development (OD) Group is another PMP training provider in New York. OD Group is famous in the field of strategic business process management training and consulting. Since process management interacts with project management as well, they provide some project management seminars as well. 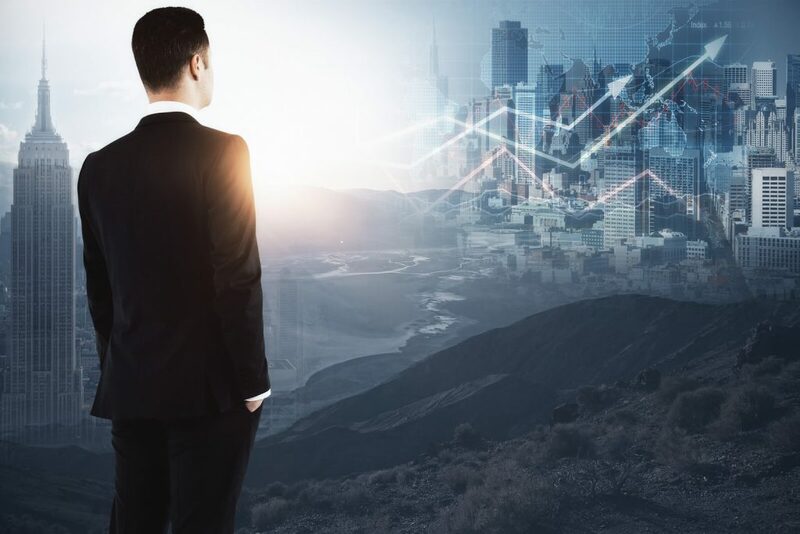 Since the main focus of this PMP certification NYC training provider is process management, they do not offer a comprehensive PMP certification training. You can enroll in project management seminars of this training provider in order improve your practical knowledge of process and project management. NetCom Learning offers several technical and business courses. You can consider this PMP certification NYC training provider for your PMP exam prep. They have good review score on trust pilot rated by hundreds of New York PMP training students. NetCom Learning offers only classroom PMP courses in New York and live PMP courses. The cost of this New York PMP training starts from $1,995 which is far above of a PMP certification NYC training. Technical Institute of America is another PMP certification NYC training option. The main focus of this New York PMP training provider is Microsoft Office courses. They offer other courses like Adobe, CompTIA, Cisco courses, Security courses and other courses as well. They offer New York PMP training in classroom or live. You can consider enrolling in their PMP course if you want to attend in a classroom course and if your schedule is available. The cost of this NYC PMP training starts from $2,500. #8 PMP Training NYC – The Project Solvers of America, Inc. The Project Solvers of America offers on-site consulting services, project management consultancy and project management courses as well. They provide short-term and long-term project managers for organizations as well. This PMP certification NYC option is more than a PMP training and covers end-to-end project management consultancy for an organization. You can consider this New York PMP training provider for your PMP exam prep as well. They offer online and instructor-led options of PMP training. Online PMP training options start from $699. Another New York PMP training provider is Project Pro Management Services. This PMP certification NYC training provider offers PMP and CAPM trainings in New York. Actually, they offer two forms of delivery for these courses: online or CD-media. Cost of online PMP training is $259 and CD-Based PMP training is $419. This New York PMP training provider has an old-fashioned website and states an older version of PMBOK about the course material. Make sure whether the PMP course material of this PMP course provider is up-to-date. #10 PMP Training NYC – PM Success, Inc.
PM Success is the last PMP certification NYC option we will be listing in this post. This organization is both a training provider and a consulting firm in the field of project management. They offer different project management courses. After you have completed your PMP training and completed your PMP study, you must schedule your PMP exam in New York. There are several PMP exam NYC test centers in New York state. You can locate the nearest PMP exam NYC center from Prometric website. 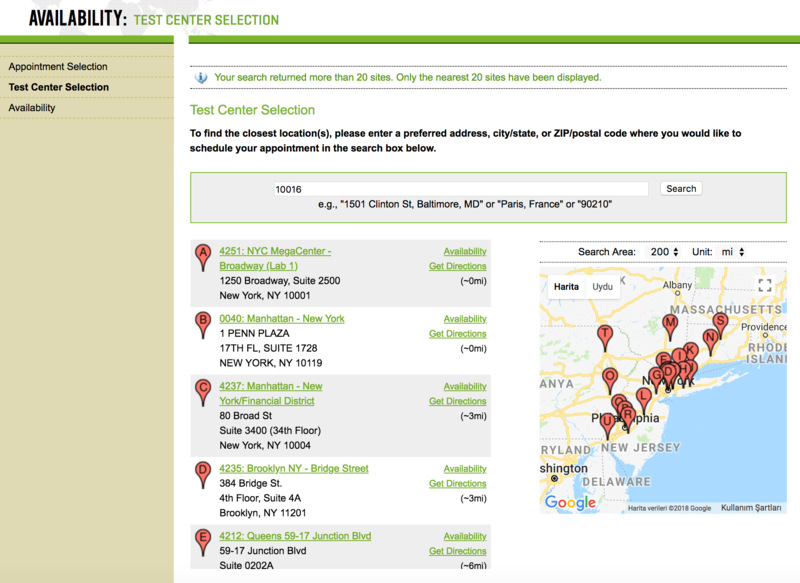 In the following example, zip code 10016 is searched and as you can see more than 20 PMP exam NYC test centers are shown on the map. You can select the nearest and available PMP exam NYC test center to take your PMP exam. 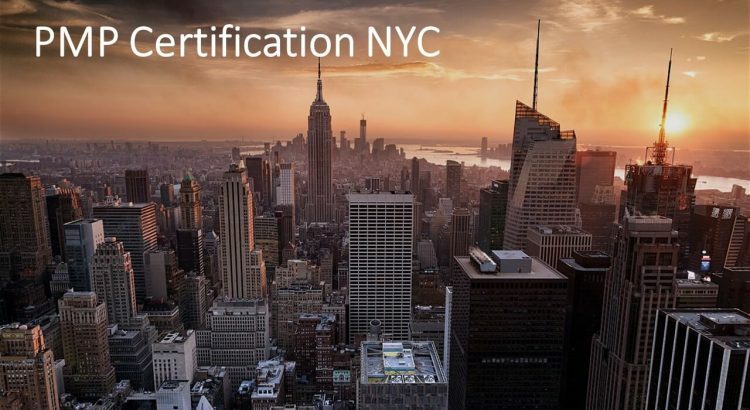 We have listed the top 10 PMP certification NYC options in this post. 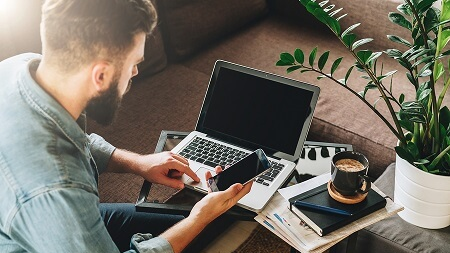 You can find the course coverage, address, email, phone and other contact information of these New York PMP course providers. Note that, while there are several PMP training providers in NYC, the cost of PMP classroom training starts from $1,500 and goes up to $3,500. On the other hand, online PMP training options are more affordable and provides flexibility to PMP candidates. You can enroll in an online PMP training starting from as low as $37 per month. Considering the price advantage, flexibility and online access, we strongly recommend you to take your PMP training online.